The first step to securing optimum uptime for customers is to ensure parts don’t break down in the first place. By designing extremely high-quality parts that stand the test of time, customers don’t have to worry about their machines failing on them in the middle of the job. Volvo CE test and develop its own parts and products, including the engines, so almost every aspect of the machine is manufactured in-house to ensure top quality and easy availability. 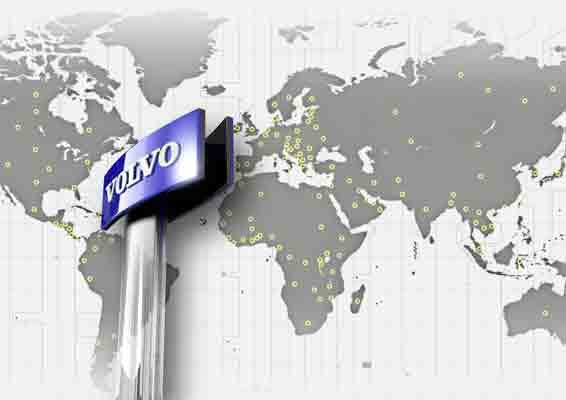 To handle every potential distribution need, Volvo CE has implemented a strong logistics network with the largest supply of world class spare parts to deliver to time and to budget. The organization oversees an international network of suppliers, parts purchasing, aftermarket purchasing, regional and local market logistics operations, warehouse managers, transport planning, material management and finally dealers and sub-dealers. Phew. Each customer request for a spare part is classed according to need. A first class ‘machine down’ order, where a machine is taken out of action until the part can be replaced, is considered the top priority. In these cases, parts can be delivered in as little as 12 hours. Next in line are second class orders where customers are preparing for a bigger overhaul, followed by discounted classes where customers do not require parts to arrive as soon as the next day.